My name is Justin Townsend. I was born in a rural area of Oklahoma. I soon outgrew my settings there and chose to move to New Orleans, LA in order to go to college at the University of New Orleans where I obtained a degree in Anthropology and a degree in Geography. While in New Orleans I began to learn to appreciate food and I ate at many of the country’s most amazing restaurants. In the latter part of my college career I took the advice of one of my friends and took my appreciation for food to a new level. 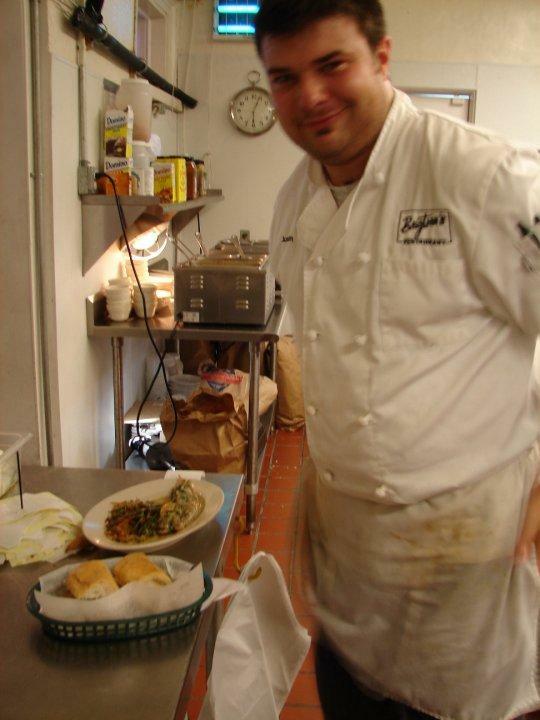 I began cooking professional in two amazing restaurants in New Orleans. After graduating in May of 2010 I moved to San Diego in order to further my aspirations. From that point on I decided to experience the most I could in the culinary world, by both eating more and cooking more. This blog is a result of my decision to pass on my experiences to others. I plan to share my culinary adventures with those who wish to read it, both for entertainment and educational purposes. In the end I hope everyone takes something from my articles, even if it is just trying out some new food.